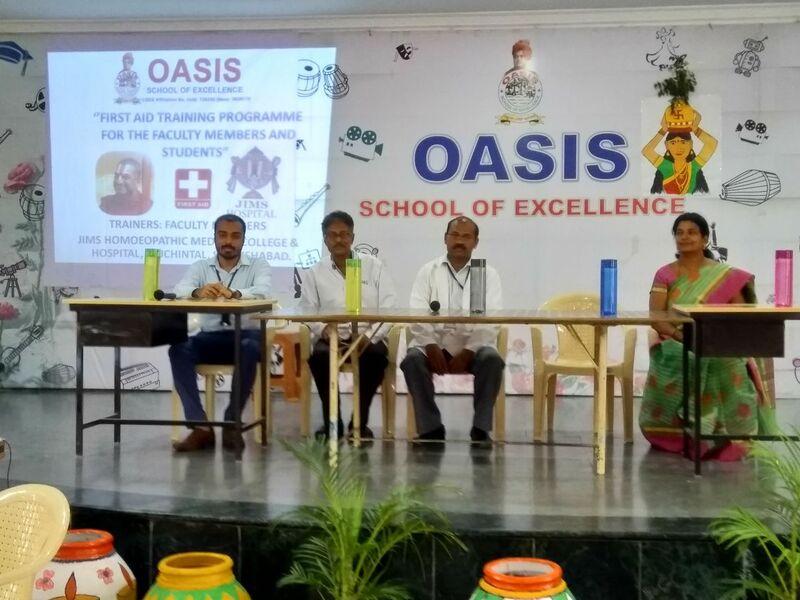 A First AID training programme was conducted by the Department of Medicine & Department of Surgery of JIMS Homoeopathic Medical College & Hospital at Oasis School of Excellence on the 8th August 2018. The first aid training was for the teaching & non teaching staff and the students of grade 8th & 10th at Oasis School of Excellence. There were total 275 trainees in the program. The first part of the program was conducted by Dr N C Dhole on the first aid management of an UNCONSCIOUS person. Students have demonstrated CPR and some trainees practised to learn the technique of CPR. Dr Dhole spoke on the first aid management of BURNS, DROWNING, CHOKING, FOREIGN BODY IMPACTION, ELECTRIC SHOCK, SNAKE BITE & OTHER INSECTS BITE. 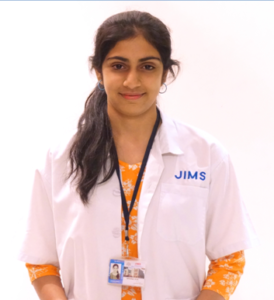 JIMS students have demonstrated all the first aid techniques. They also taught how to check the radial and carotid pulse. Then there was a session on the first aid for INJURIES. Dr Manumit Chattopadhyay demonstrated the first aid management of various injuries, road traffic accident injuries and bone fracture management. He also spoke about the first aid management of Fainting attacks which is commonly seen in school children. Dr Akhil B G spoke about the contents of an ideal first aid box and why it is important to have one. He conducted a Quiz on first aid at the end. Students and staff participated enthusiastically and it was an interactive session which enhanced the learning of the group.